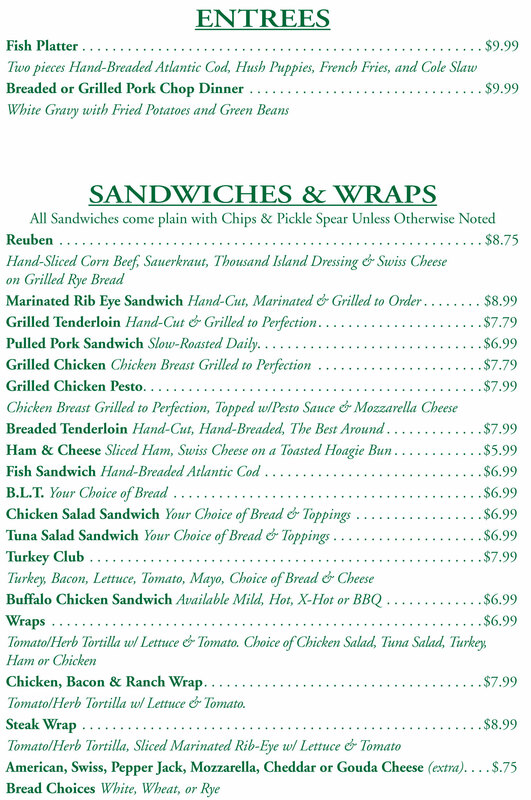 We know that every dish on our menu sounds tempting, so if you are having trouble choosing which dish to order, we highly recommend that you try our specialty chicken wings, sandwiches, and pizzas. You can never go wrong with our food! After all, many of our customers regularly claim we have the best chicken wings, sandwiches, and pizza in Franklin. Once you’ve decided which dish to order, be sure to check out our extensive Beer and Wine List to choose a beverage that perfectly matches your meal. 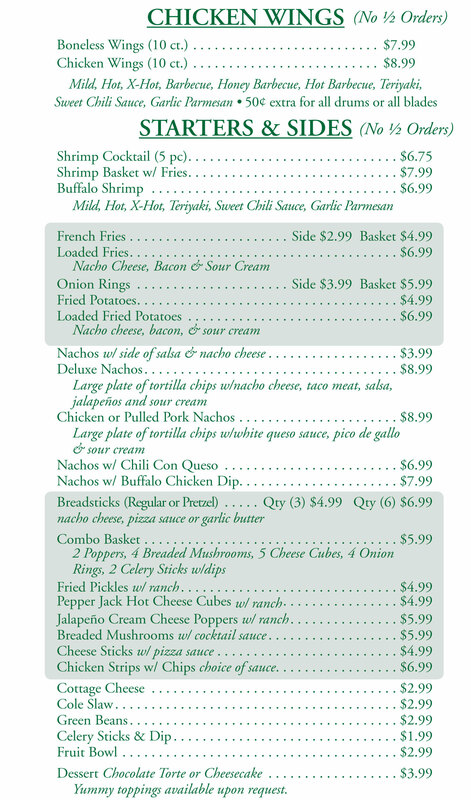 We also offer Daily Specials, so there is always a reason to keep coming back for more. 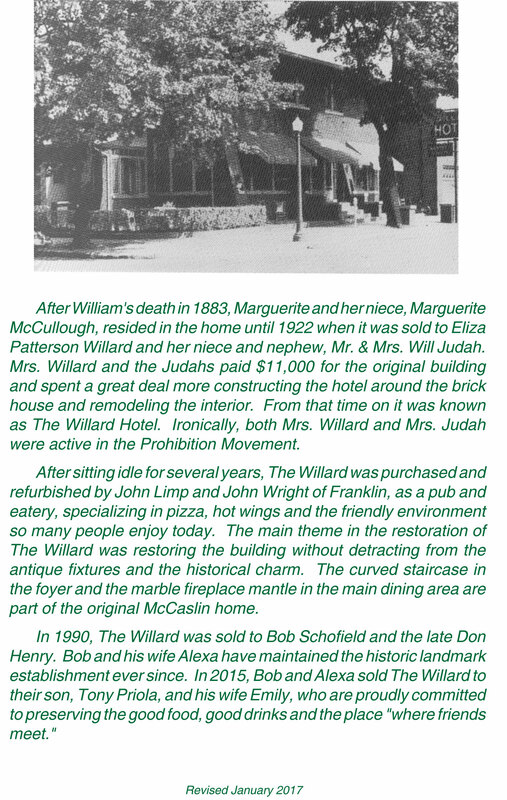 Drop by The Willard today and enjoy what one of the best and most well known restaurants in Franklin has to offer! At The Willard, our goal is to make the dining experience of all of our customers an exceptional one. 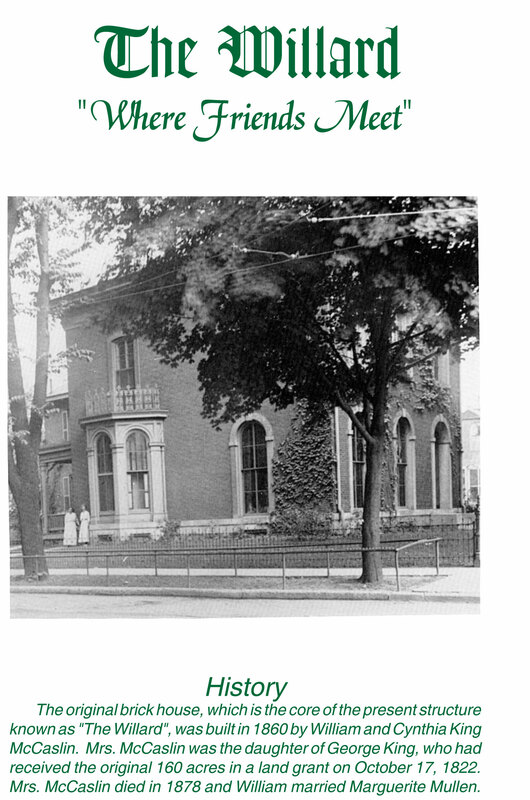 We are proud to have set up shop in a beautiful historic building right in the heart of Downtown Franklin. Our restaurant boasts a magnificent view of the Johnson County Courthouse and is only a few steps away from The Historic Artcraft Theater. Our smoke-free and family-friendly restaurant also offers a large outdoor dining space for those looking for an al fresco experience. 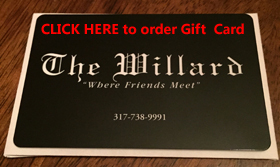 The Willard is all about helping you create fun memories with family and friends. If you are planning to celebrate a special occasion like a birthday or a promotion soon, we’d love to help you out. Simply give us a call and we’ll be more than happy to reserve a space for you. Even if there is no cause for celebration, you can always reserve the private bar to accommodate large groups. 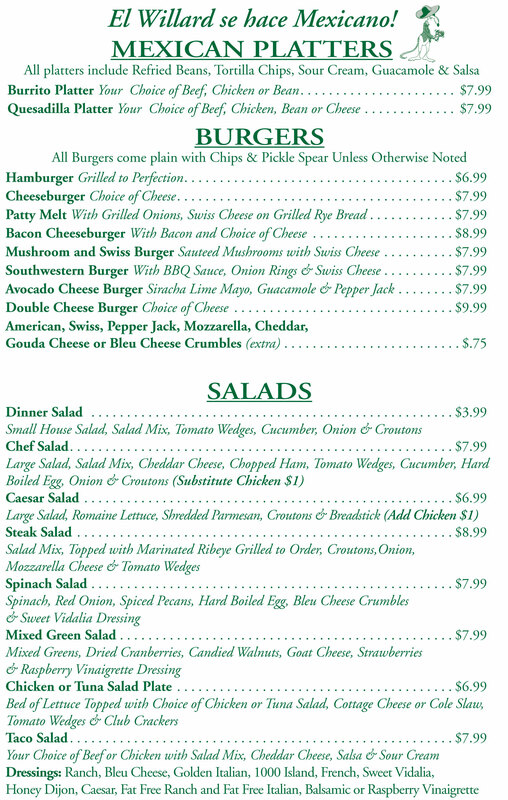 To learn more about the food items offered on our menu, please do not hesitate to call us at 317-738-9668. 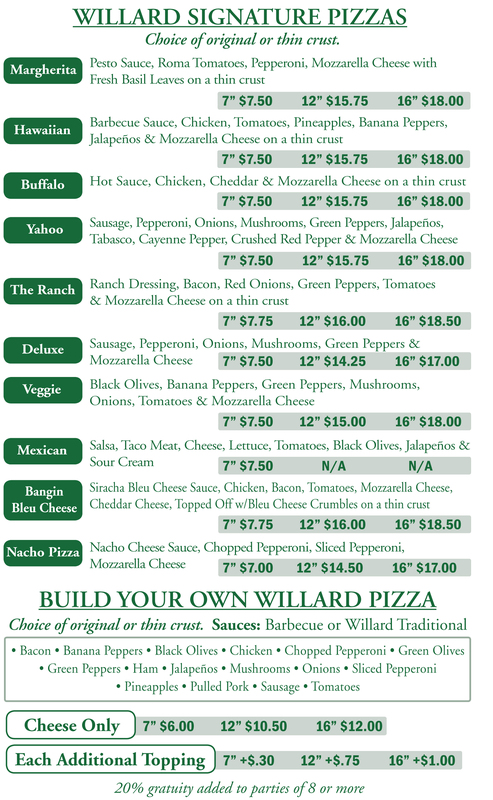 For those who wish to order carry out, please call 317-738-9991 to place an order for pick-up. We look forward to seeing you enjoy great food with great people.